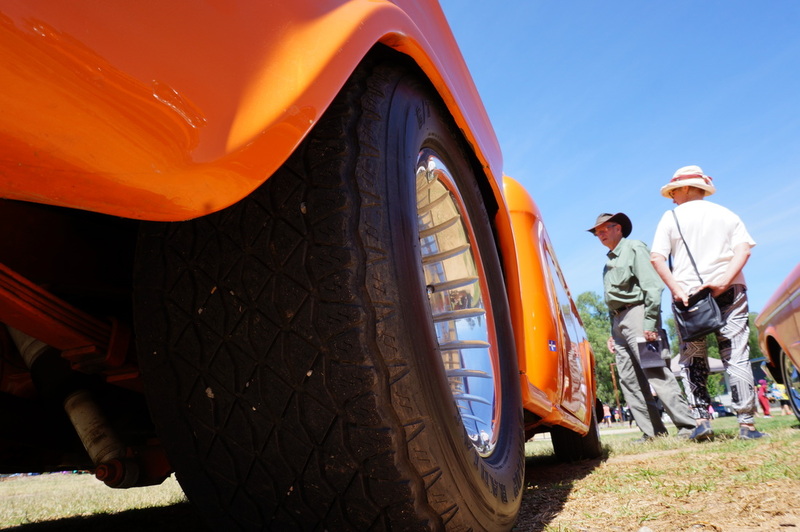 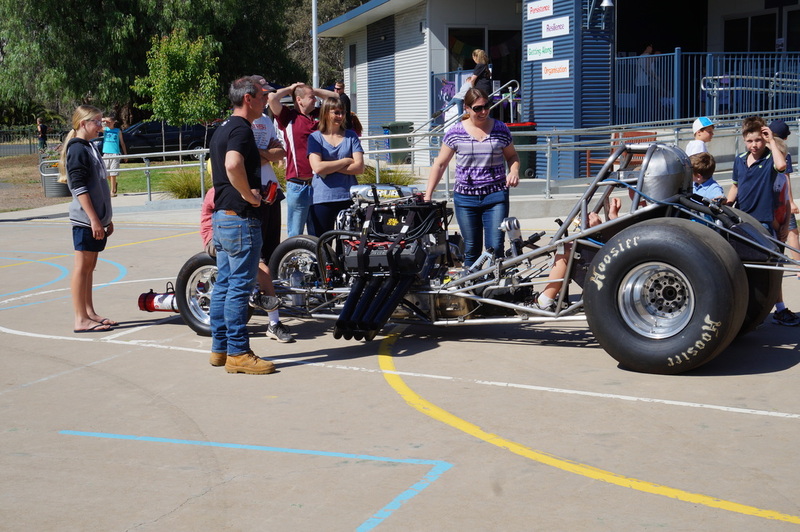 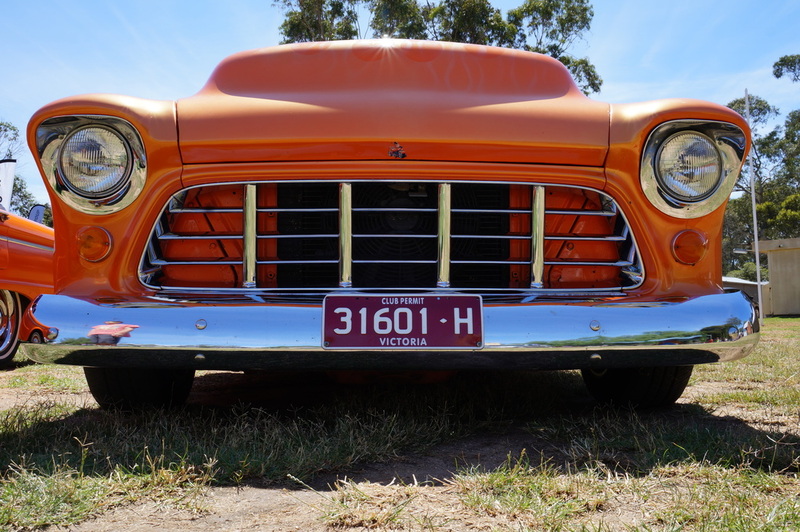 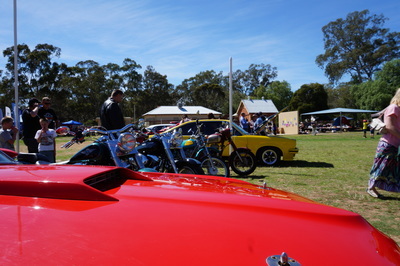 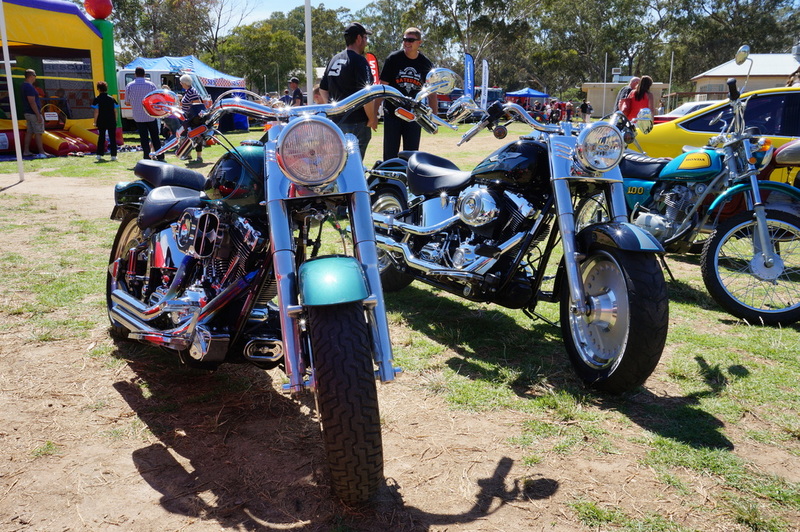 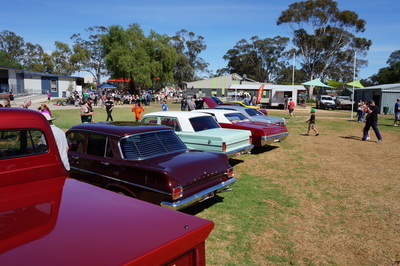 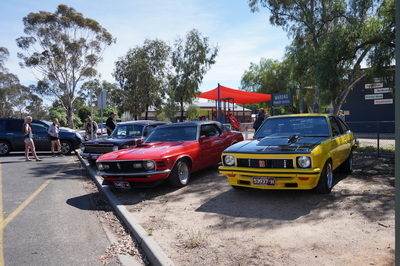 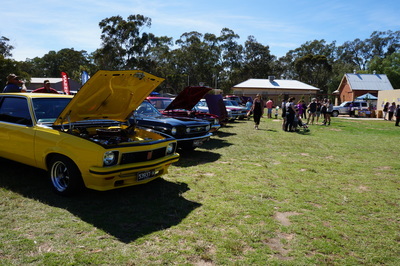 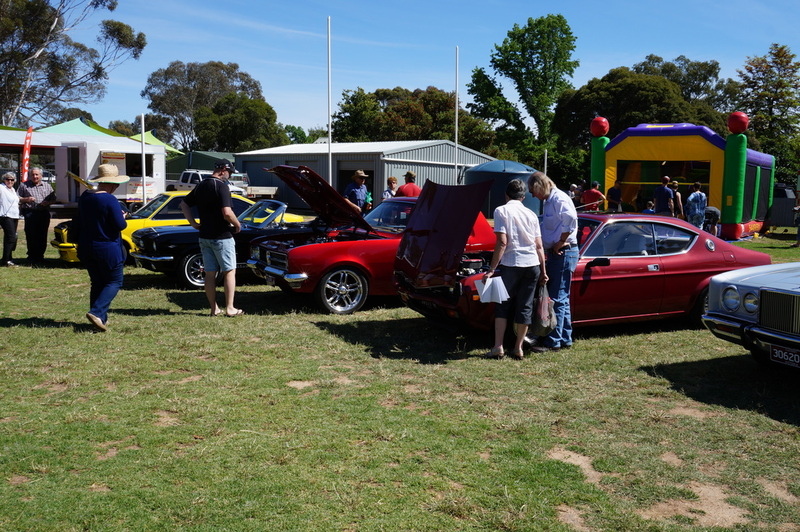 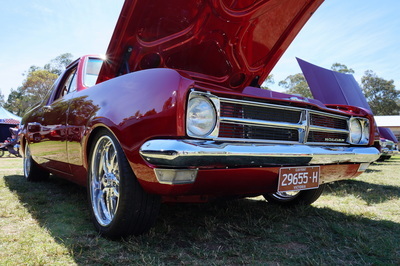 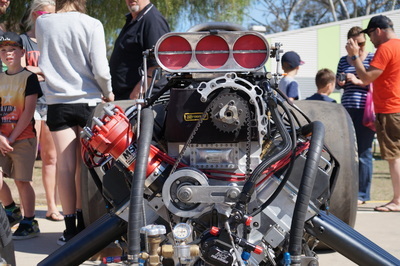 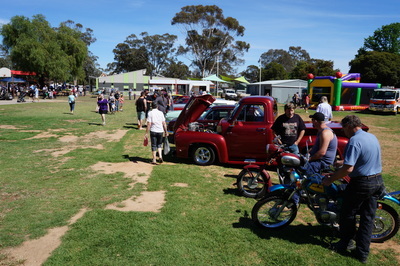 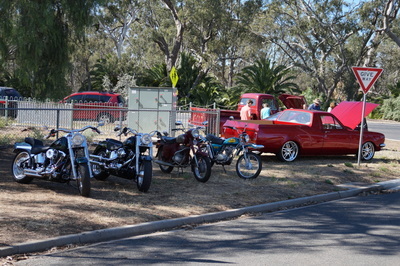 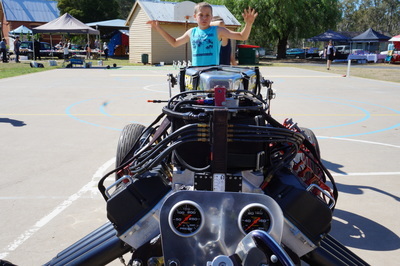 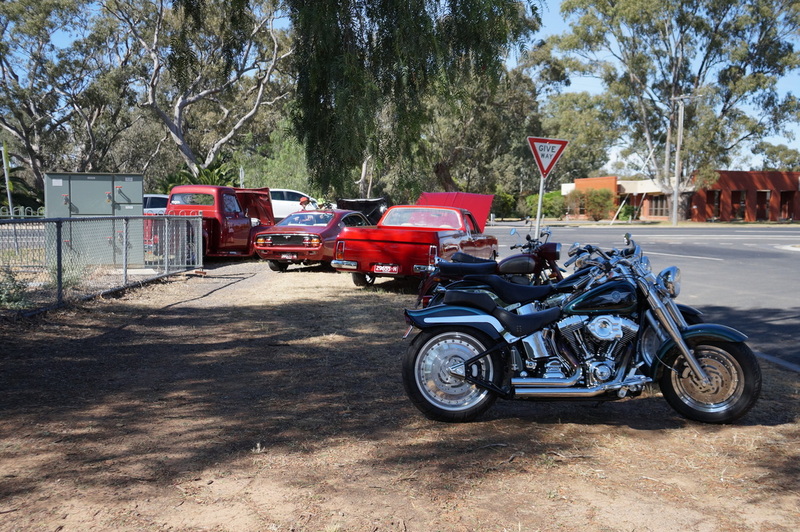 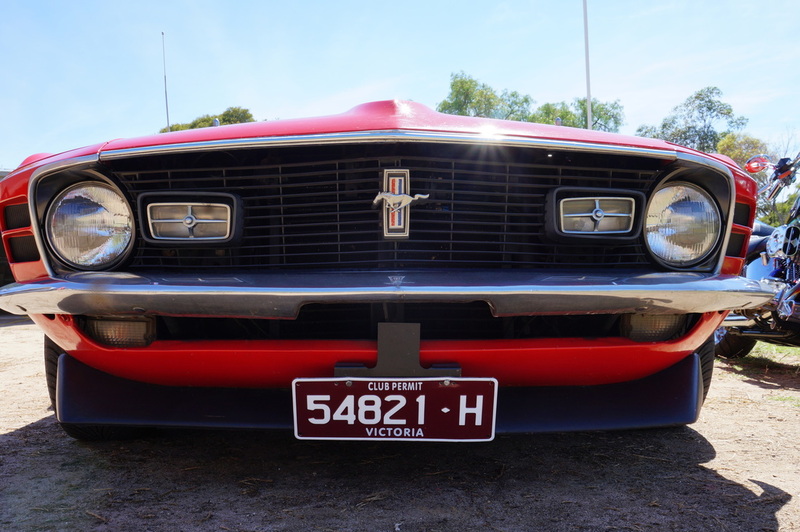 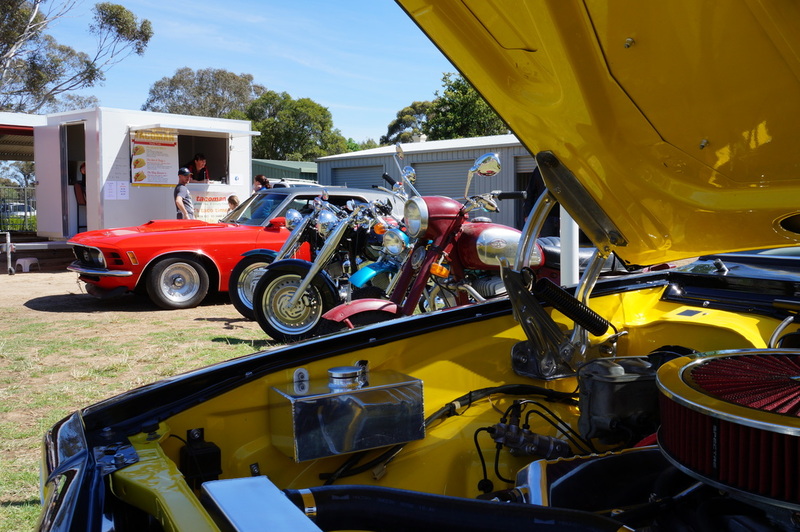 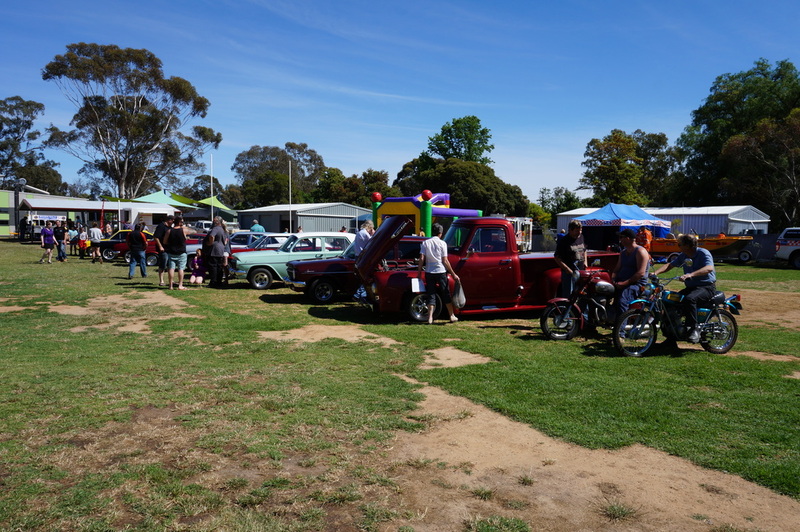 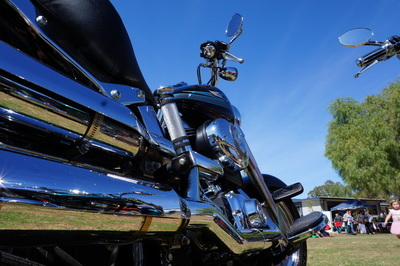 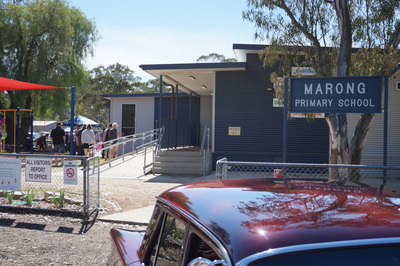 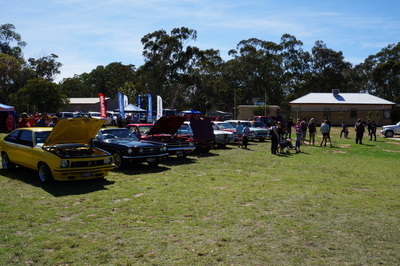 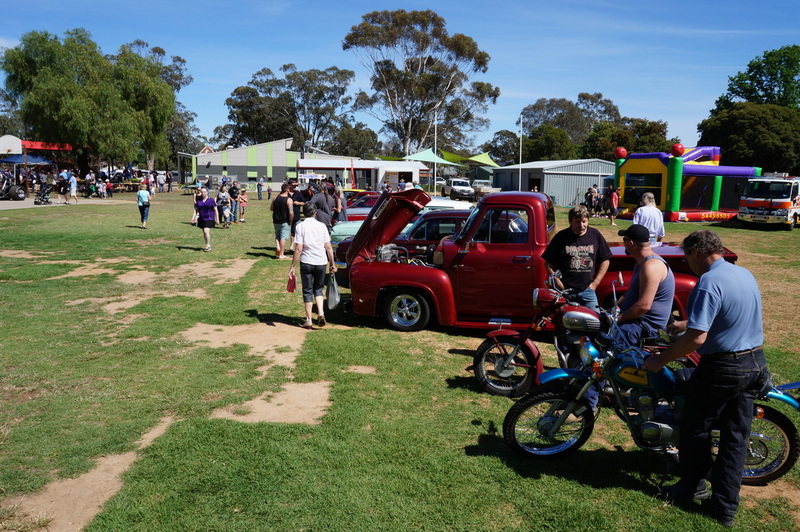 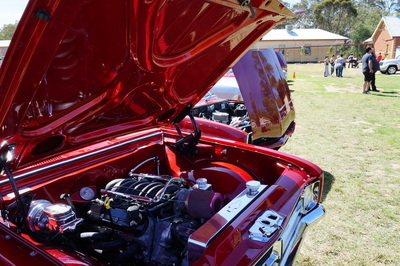 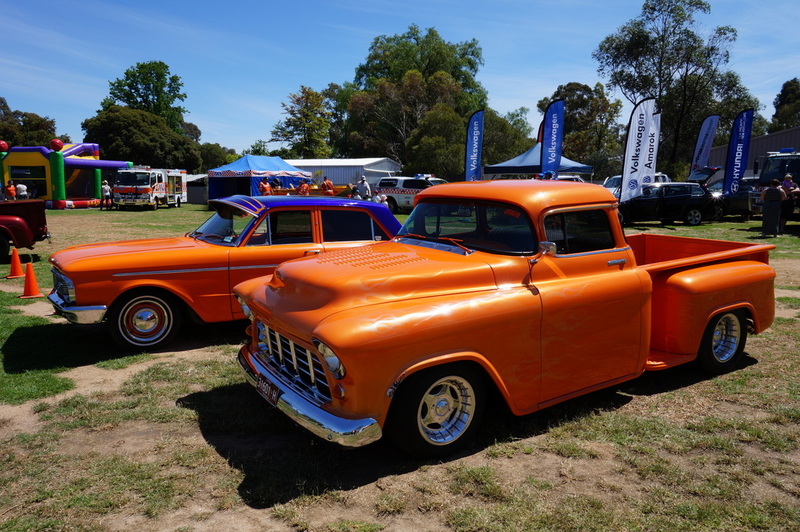 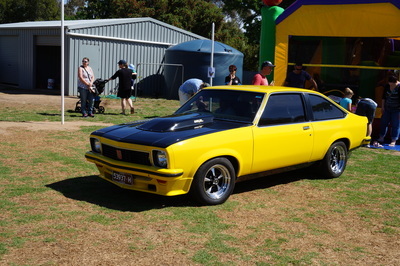 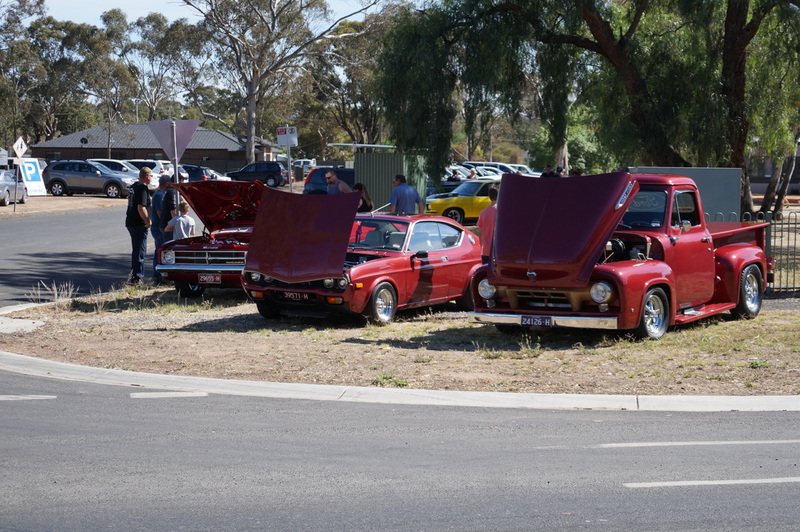 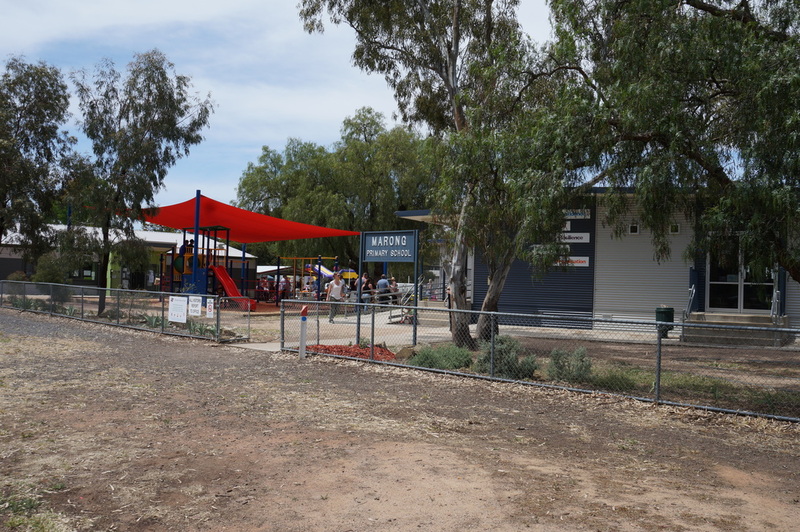 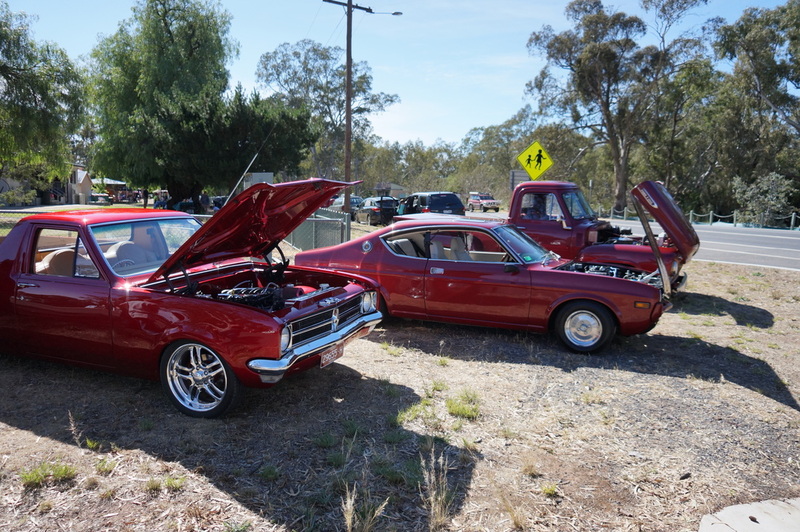 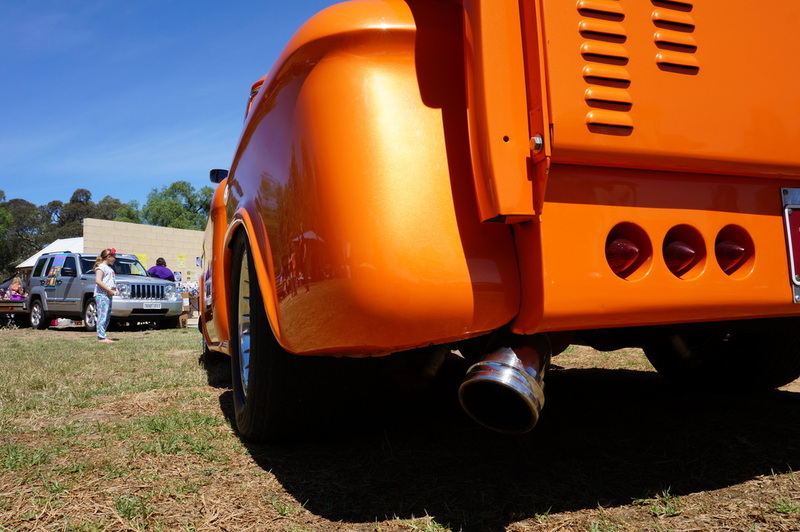 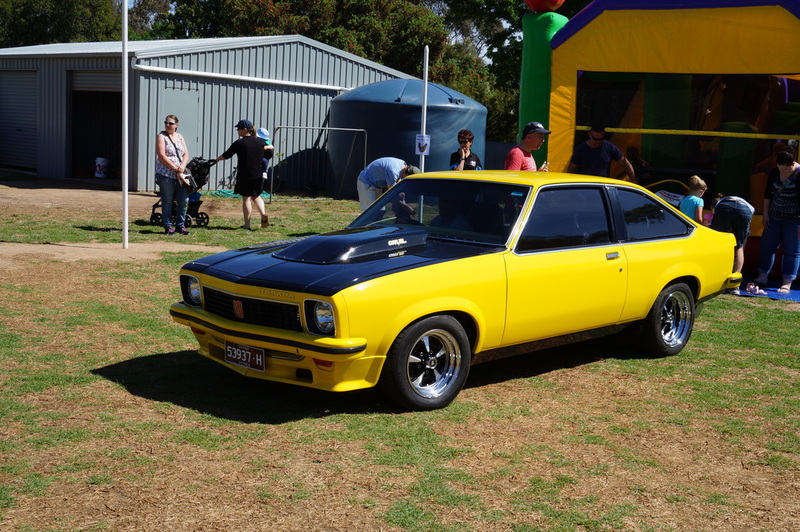 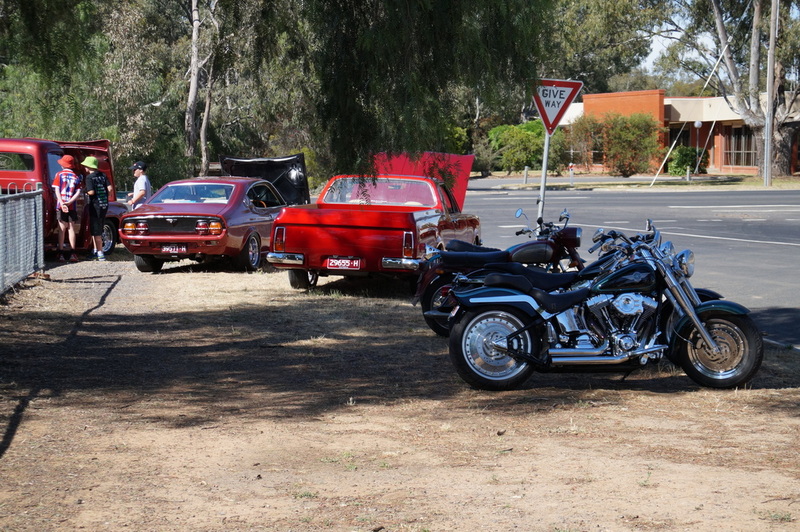 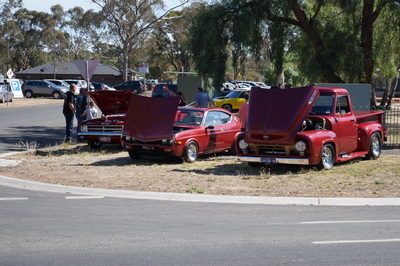 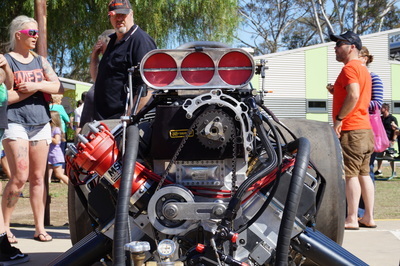 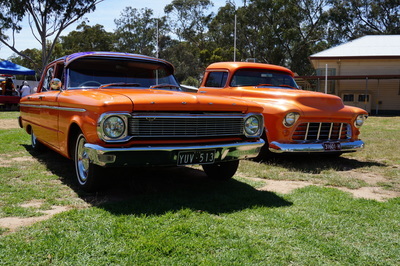 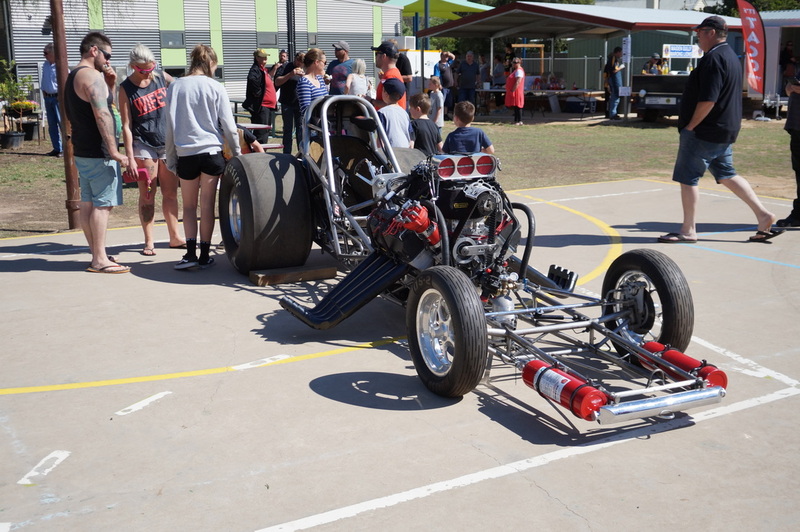 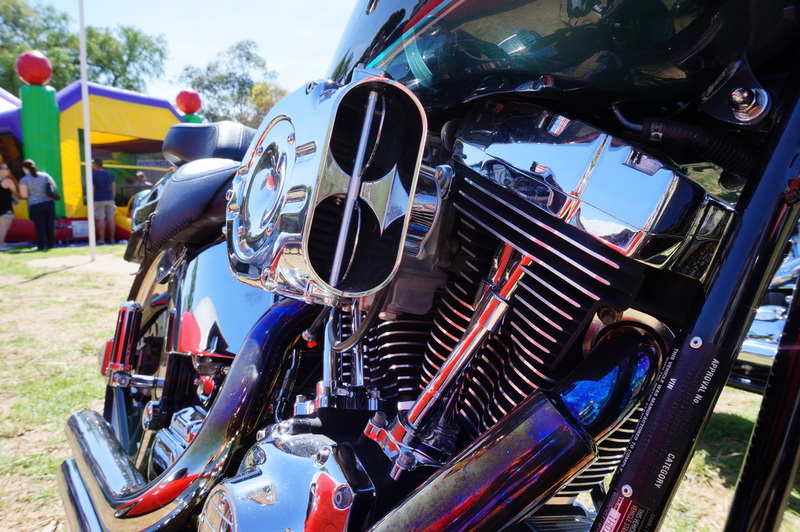 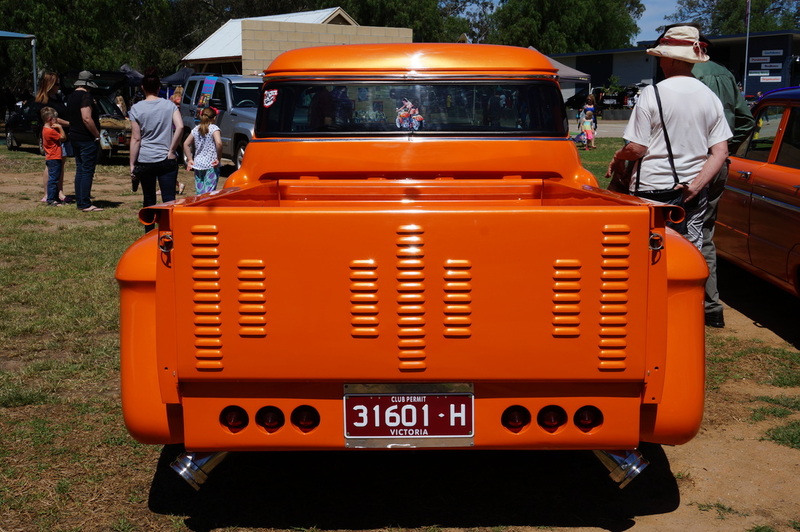 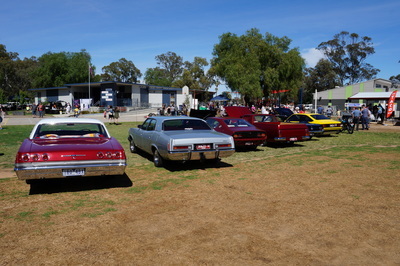 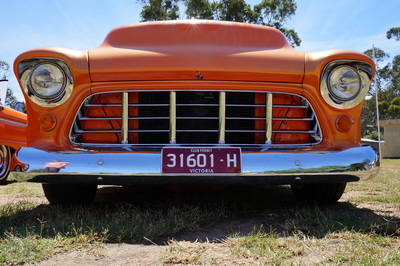 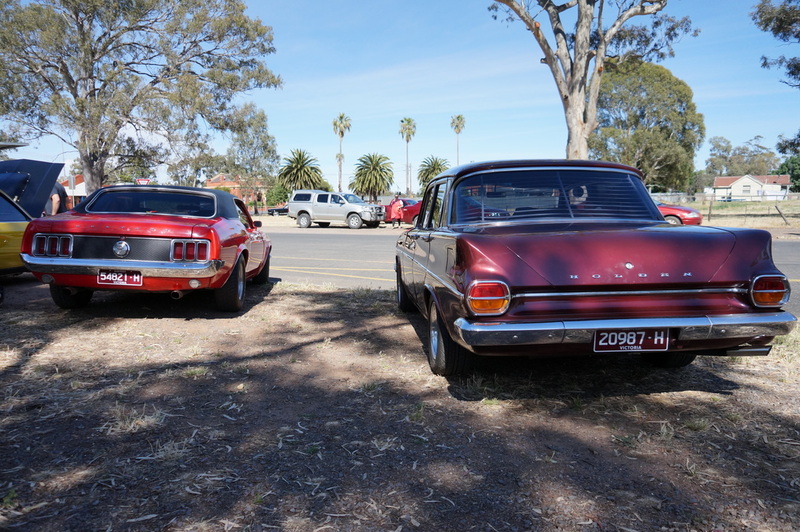 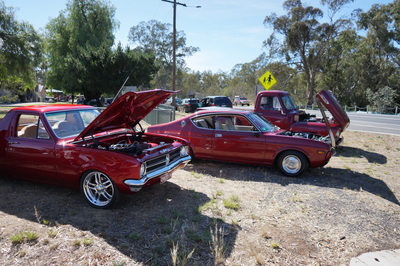 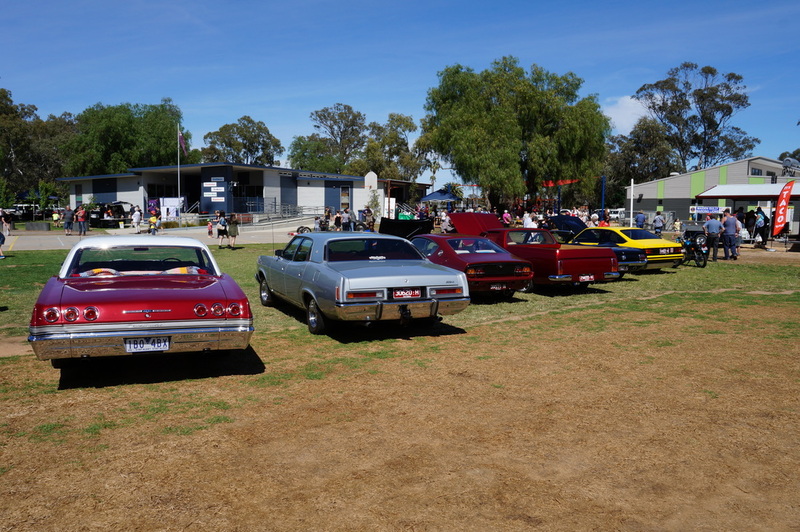 Several weeks ago, Custom Addictions was approached by the Marong Primary School asking if we would be prepared to run a small Show & Shine at their annual School Fair. 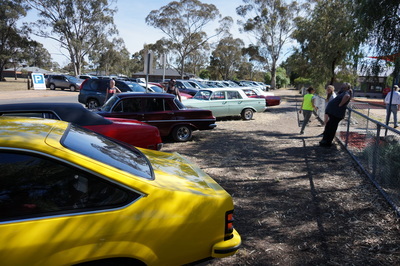 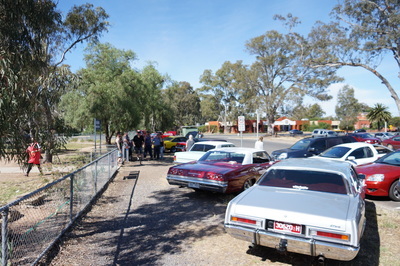 A few phone calls later and we had more than enough members willing to take their cars and bikes out to Marong for the day. Sunday was bright and sunny - always a good thing, not sure how many would have taken their vehicles out if it had of been raining. 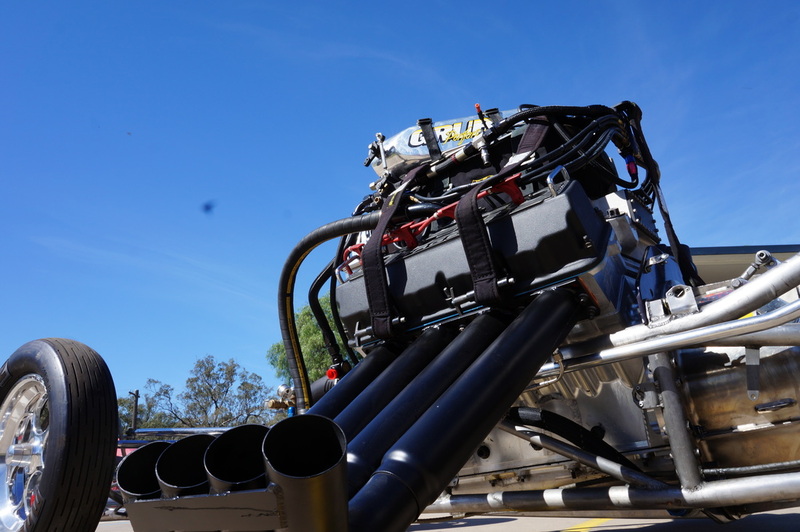 We were initially directed to a nearby paddock covered in recently slashed dry grass - absolutely ideal to start a bushfire with hot stainless steel exhausts radiating heat from directly above. 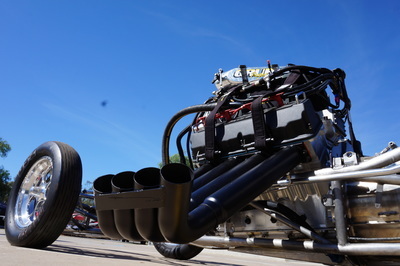 And Harleys with straight out pipes..... Could have been interesting. At least the Marong Fire Brigade were in attendance for the Fair. We then moved to the nature strip, then again to a perfect location on green grass within the school grounds. 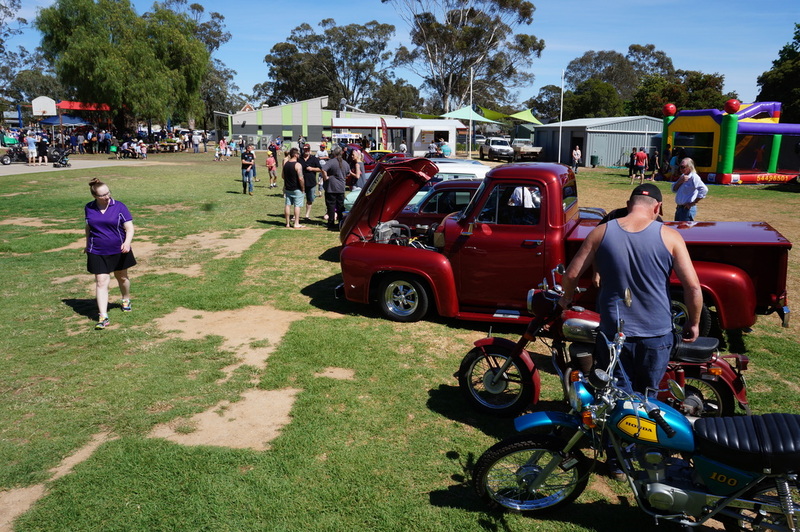 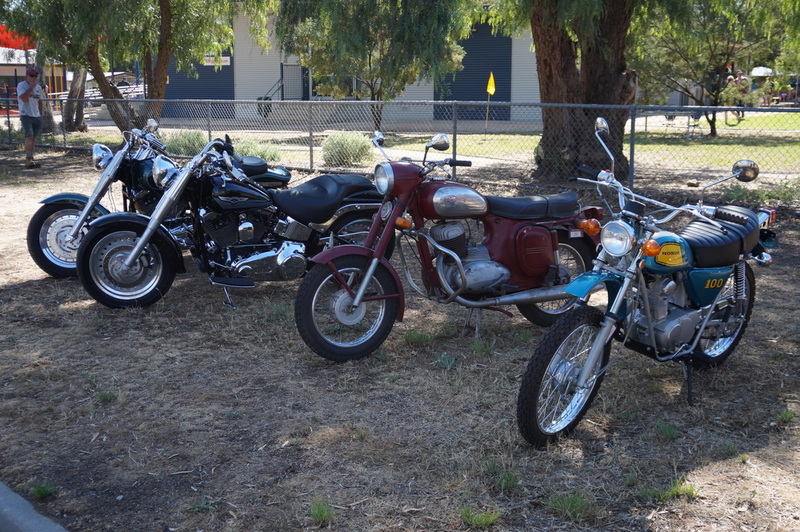 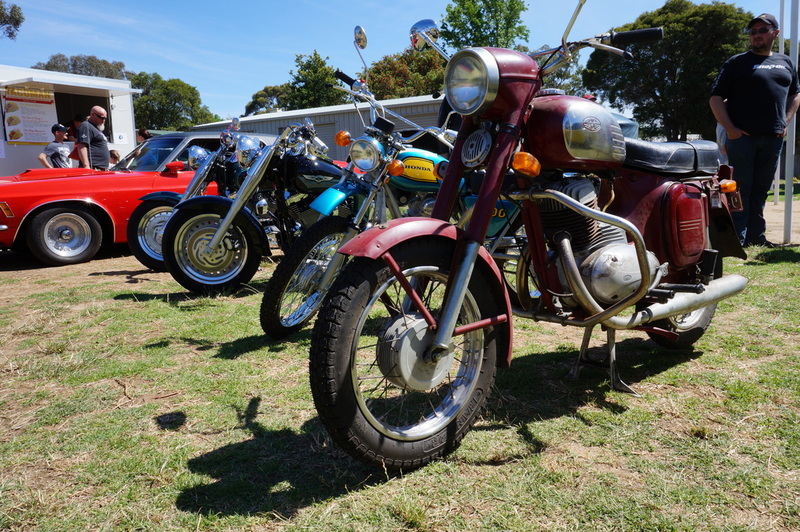 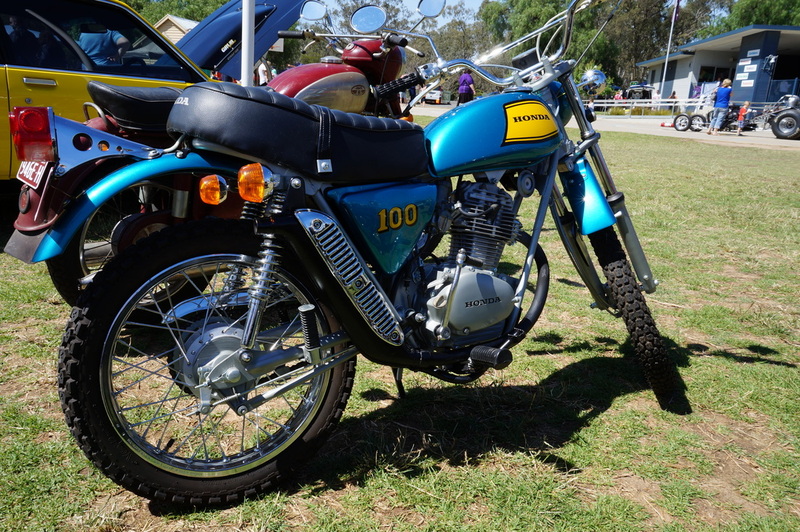 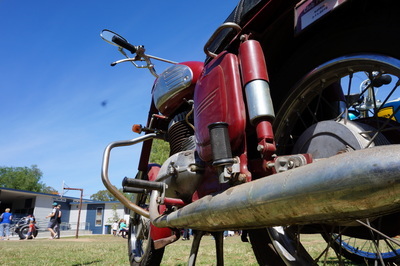 Several hundred locals had the opportunity to look at a real diverse mixture of machines from a "barn find" 1972 Jawa motorcycle (hasn't even been washed!) 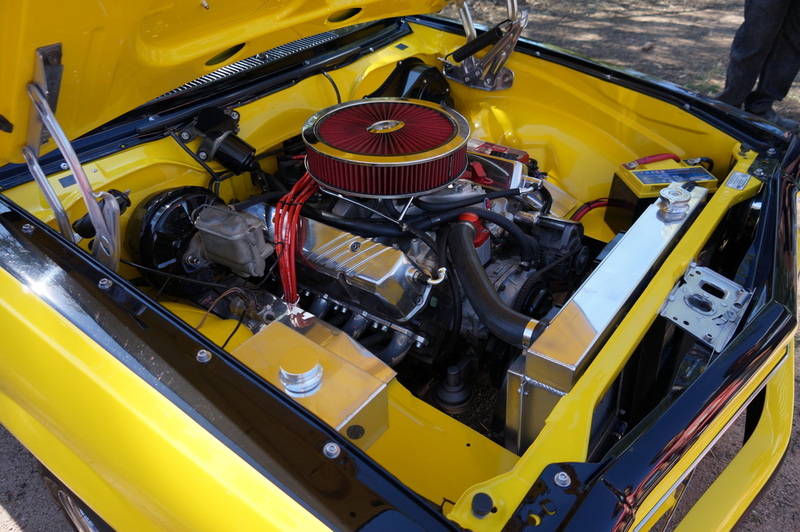 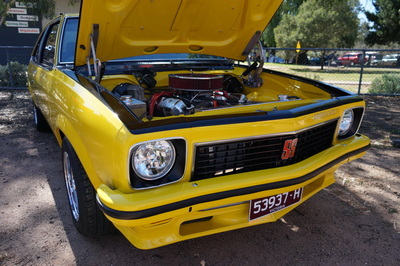 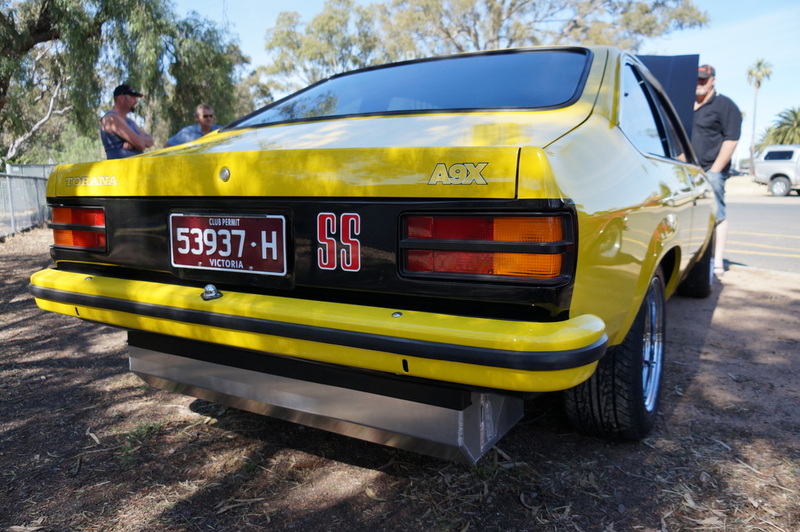 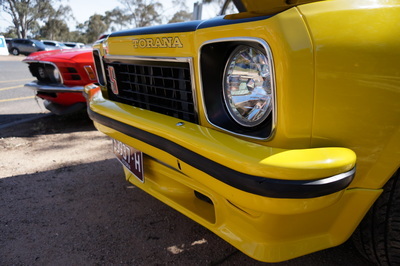 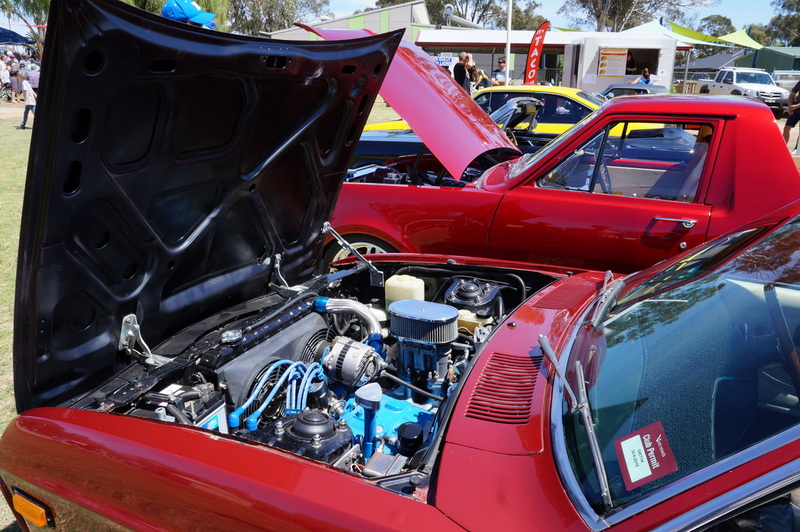 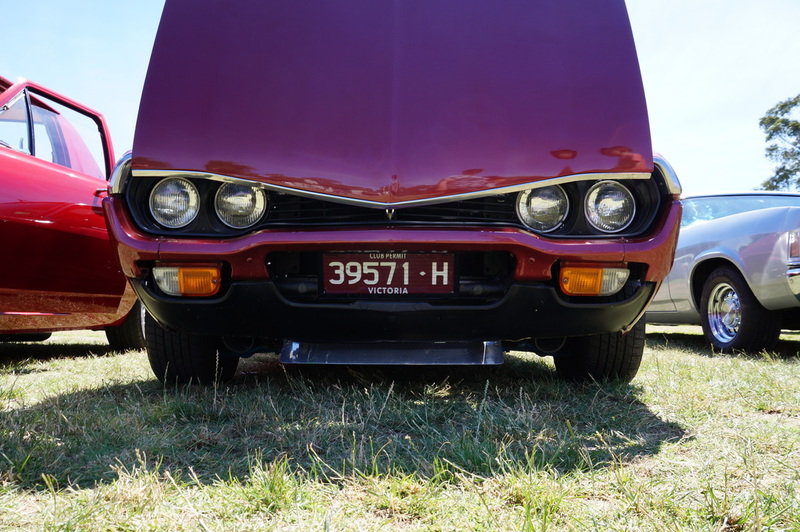 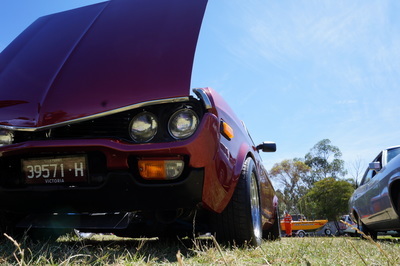 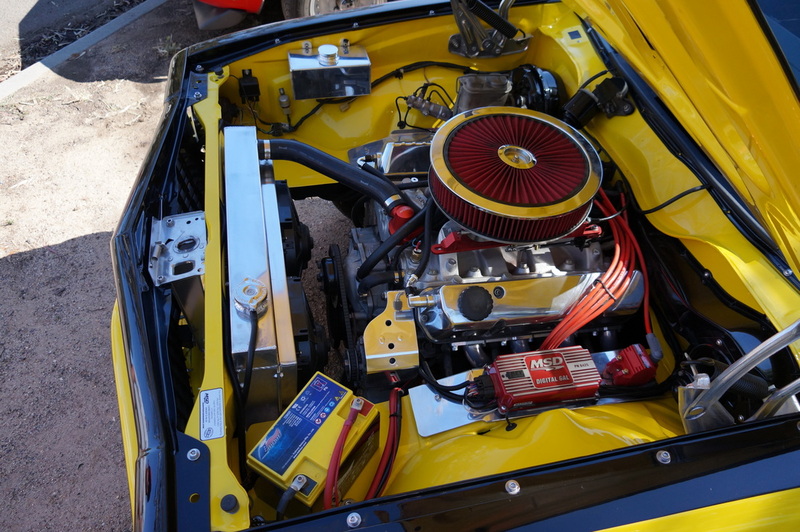 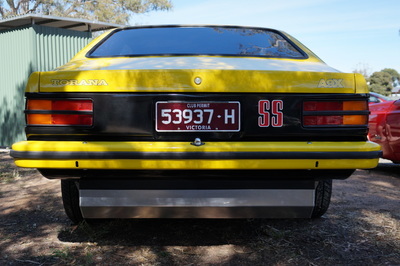 to a meticulously nut and bolt restored A9X Torana. And a whole lot more in between. Another relaxing day had by all, with a free lunch in the Marong Hotel provided by the Club.